Is it Time for Your Annual Auto Inspection near Springfield, VA? When it’s time for my annual auto inspection near Springfield, VA, I head over to my trusted auto service experts at Wiygul Automotive Clinic. Wiygul Automotive Clinic performs efficient, precision auto inspection for Springfield, VA drivers. Their ASE-certified, factory-trained mechanics and technicians perform authorized Virginia state vehicle inspections. From their convenient location in Burke, VA they have earned a reputation for providing honest and reliable automotive service and repair at competitive prices. Serving the auto repair and maintenance needs of Burke, VA and the surrounding community since 1996, these friendly professionals live their commitment to vehicle safety and performance every day. In response to client needs Wiygul Automotive Clinic has grown to become one of the area’s premier auto service providers. Members of the Goodyear Tire & Service Network and AAA approved, you know you can trust the quality and reliability of the auto care they provide. I recommend you sign up to receive special offers on automotive services and products from Wiygul Automotive Clinic, including manufacturer-recommended maintenance and auto service for your brakes, exhaust, suspension, engine, and more. 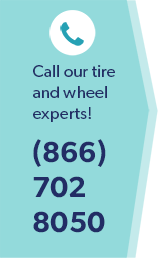 Need tire services to prolong your tire life? Is it time to replace worn tires? Visit the on-site Goodyear Tire Center for a full inventory of the most dependable tires in the world from Goodyear, Dunlop, and Kelly. Is it time to schedule your Virginia state auto inspection? Springfield, VA motorists can rely on the incredibly precise workmanship at Wiygul Automotive Clinic, especially when it comes to properly completing the mandatory 24-point Virginia vehicle safety inspection process. With accurate, specific information they answer questions in ways you can understand, review your inspection results together, and make recommendations for necessary repair or replacement of parts or fluids. I know when I get my auto inspection near Springfield, VA, I can count on the auto care experts at Wiygul Automotive Clinic to get me safely back on the road in no time so I can drive with confidence.